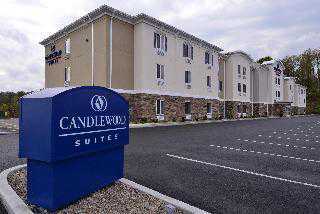 The Candlewood Suites Morgantown WV is conveniently located on Interstate 79, exit 155 on Gateway Drive(Star City Exit). During your stay with us, our friendly staff will make you feel at home. We are located within 3 miles of WVU. Area attractions include Cooper&apos;s Rock State Forest, Frank Lloyd Wright&apos;s Falling Waters, Ohio Pyle, Forks of Cheat Winery, Cheat Lake, Rails and Trails. Along with several fine dining and shopping establishments. For the sports enthusiasts, we are located minutes away from Mon County Baseball Field which is the home of theWV Black Bears(a AAA Pittsburgh Pirates affiliate), you can cheer on WVU football at Mountaineer Field at Milan Puskar Stadium,watch your favorite WVU men&apos;s and women&apos;s basketball players at WVU Coliseum, catch some tournament play at Pro Performance at Mylan Park. 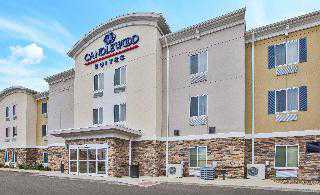 Our hotel is designed just for you, the Extended Stay Traveler and our hotel understands your unique needs. We have the amenities to help you keep up with your daily routine, including a 24 hour Fitness Center, full kitchen in every suite and free Guest laundry facilities. The Candlewood Cupboard is available for all your food items, free movie library. We also offer free high speed wired Internet and Wi-Fi. Don&apos;t forget to bring along your furry friend as we are a pet friendly hotel. 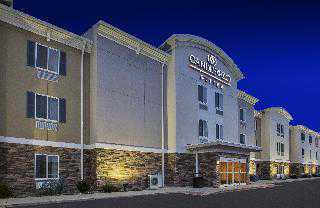 Experience Morgantown s newest extended stay hotel, The Candlewood Suites, and &quot;Consider Us Home&quot;!